This Leather Work Glove is for those who need basic hand protection at an affordable price. 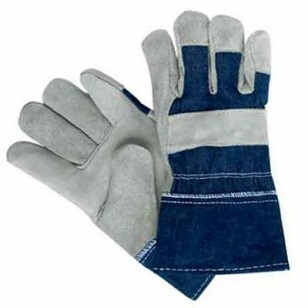 This glove is often chosen for tasks that render gloves useless due to oil, dirt, or other elements. This leather glove is constructed from economy split cowhide leather and features a full-leather index finger, knuckle strap, reinforced patch palm and denim back. Ideal for construction, material handling and general maintenance.